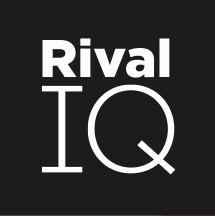 In this video, we walk through Rival IQ's social post analysis page and cover a few tips and tricks for beginning your social post analysis. Join Halina as she walks you through Rival IQ's social post analysis page and covers a few tips and tricks for beginning your social post analysis. Evaluate which social channels your competitors are active on and analyze if that's where your audience is. Investigate which days of the week and times of day you should be posting on each channel to maximize social engagement.